We've always loved sloths, and we think that they're some of the most interesting creatures in the world! We've had experience with a plethora of animals from the smallest of frogs to horses and dogs, but nothing felt quite as right as a sloth. We had (correctly!) 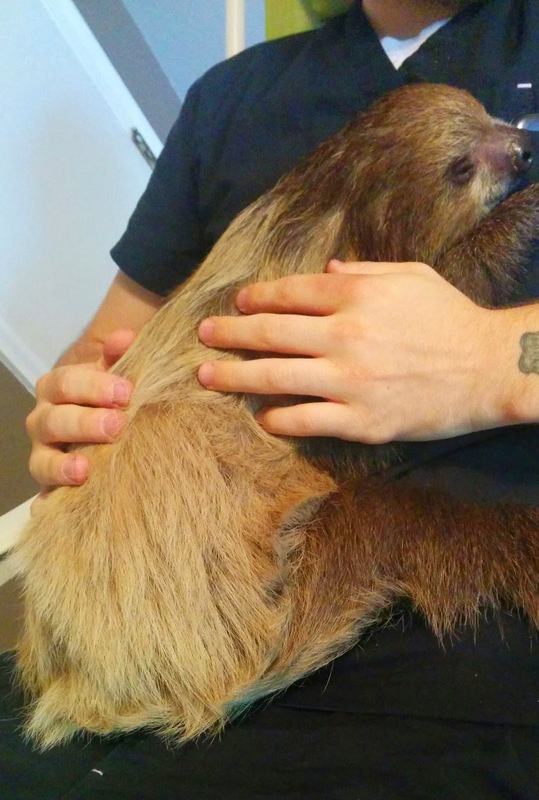 assumed a sloth would be loads of work, but it wasn’t until we looked into bringing one home that we learned that exactly how challenging adopting a sloth was going to be! As is probably for the best, you can't just go down and pick up a sloth from your local animal shelter or pet shop. So, we ventured out on a journey to do what needed to be done. It turns out “what needed to be done” was a town's worth of things, starting with building a habitat and getting permission from all of the powers that be. Building Zo’s habitat was a fun, albeit expensive, project. We quickly learned that sloths are finicky creatures which require a number of very specific things to thrive from keeping a certain climate with heat and humidity to plenty of room to climb around in and grow. Additionally, since we live in the US, we had to apply for permits from several state and local authorities. Getting permits from the state turned us into fantastic dentists, as getting anything done was all about pulling teeth! We were denied several times by the state, even after getting permission from local authorities, because they believed that sloths could potentially get out and terrorize our neighbors. Finally, after over a year of back and forth—educating the state on sloths' slowness and inability to actually walk, and getting them to communicate with the local offices—we were finally awarded all the necessary permits. The next step? Operation Sloth Location. Finding a sloth is a tricky thing, and absolutely cannot be taken lightly. There are many people out in the world who treat animals poorly and want nothing more than to make a quick buck. We decided early on that we would never take an animal from the wild, and would only adopt one born in captivity so that we would be able to give it a great home and leisurely life—which, for a sloth, is all life ought to be! After courting several people who came highly recommended in the slothy world, we made a decision to work with someone who actively strove to gain our confidence and allay any fears. And thus began the waiting game. We considered several potential captive-born matches, but none of them seemed quite right… And then came Zo! She was unlike any other sloth we had ever met. While the others didn’t react much when we entered their area, Zo’s natural curiosity means she always wants to get in on the action! We immediately knew that she would be the perfect addition to our family, so we leapt into action. Final plans were put in place, first class travel was booked for our precious cargo (or should we say "carZo"? ), and soon enough Zo was on her way to her new home!